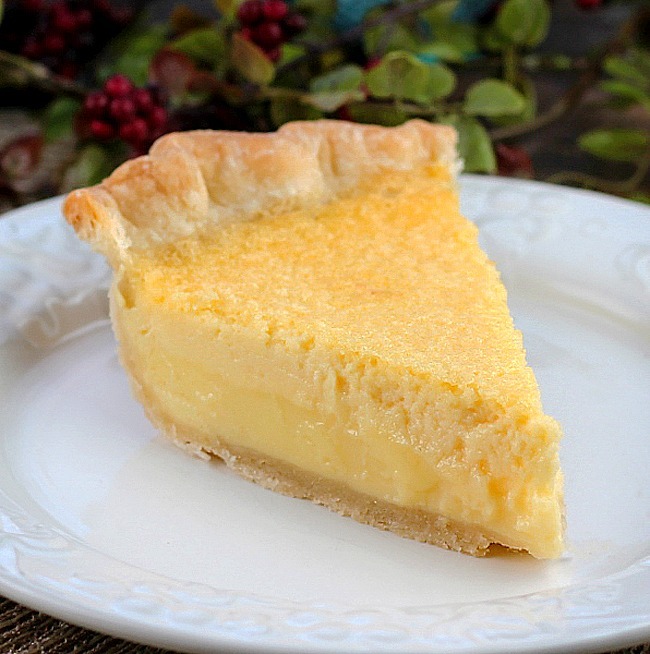 When I was management in a restaurant in Pennsylvania the head cook , who is still one of my absolute best friends, would make the best fruit custard pies you ever tasted. In the Spring the owner would bring fresh raspberries and blueberries from the farmers market and she would work her magic. 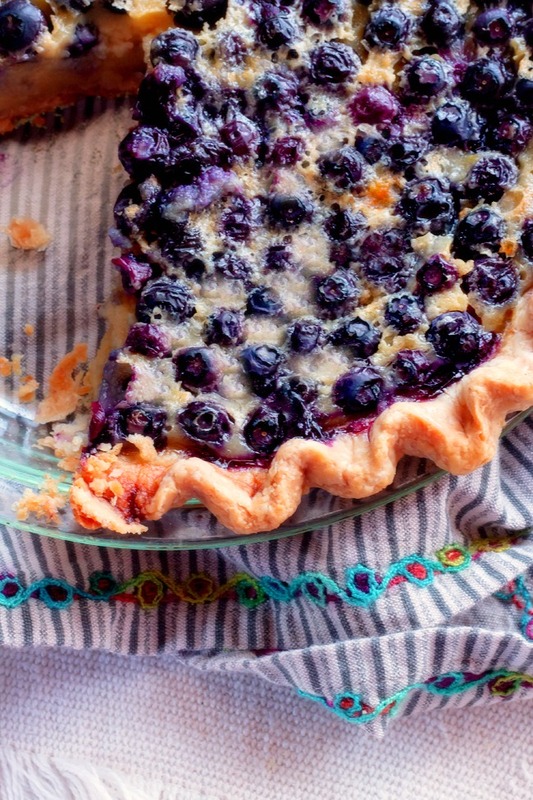 I couldn’t help thinking about her when I was making this delicious Homemade Blueberry Custard Pie. This recipe is easy to make and yields fantastic results. 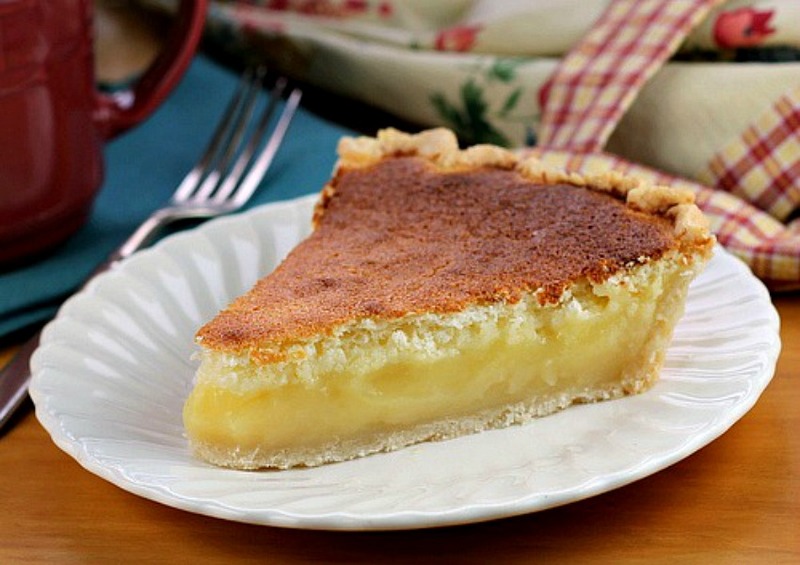 You can use a pre packaged pie crust in the recipe, I always make a homemade butter pie crust for pies. I can’t help it, once you go homemade butter crust you can’t imagine making a pie without it. 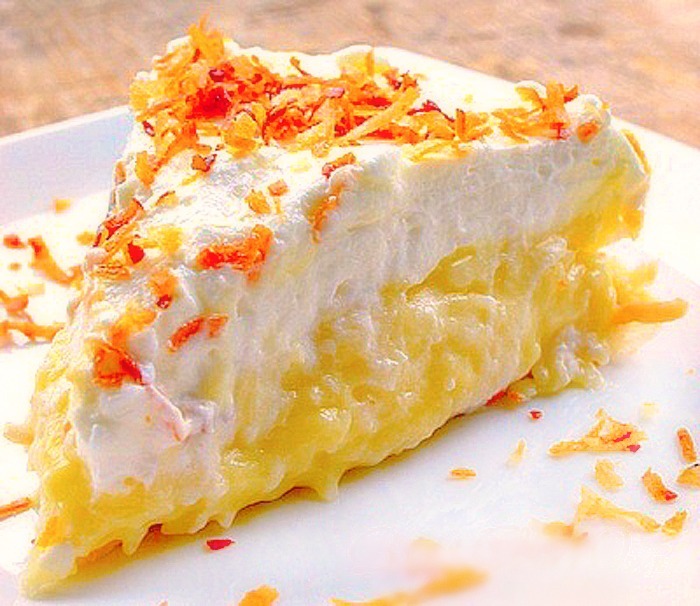 A butter pie crust compliments anything you put in it. 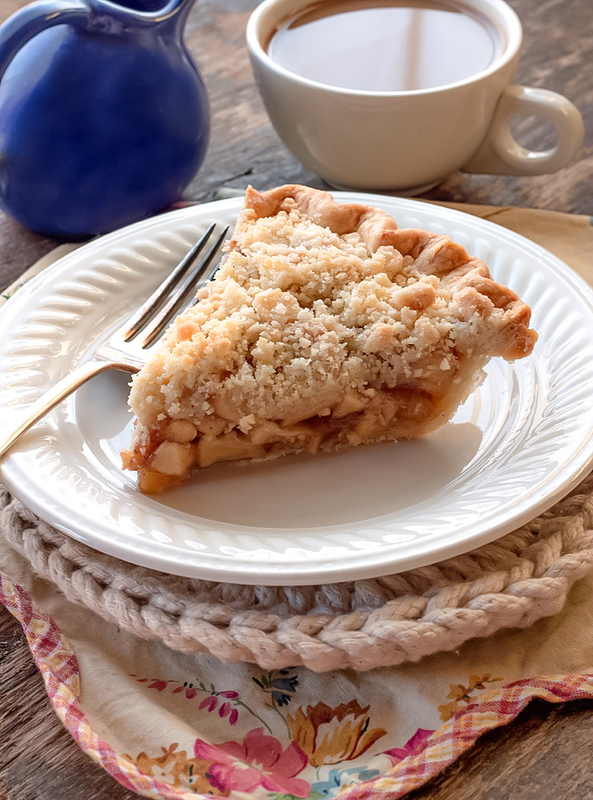 If you don’t have an all butter crust recipe, you can find the one I use here in the Dutch Apple Pie recipe I make. Fresh or frozen blueberries can be used, just make sure you don’t thaw the frozen berries before putting them in the pie crust. Homemade Blueberry Custard Pie…fresh blueberries nestled in a creamy custard filling, it doesn’t get any better than this. Enjoy! 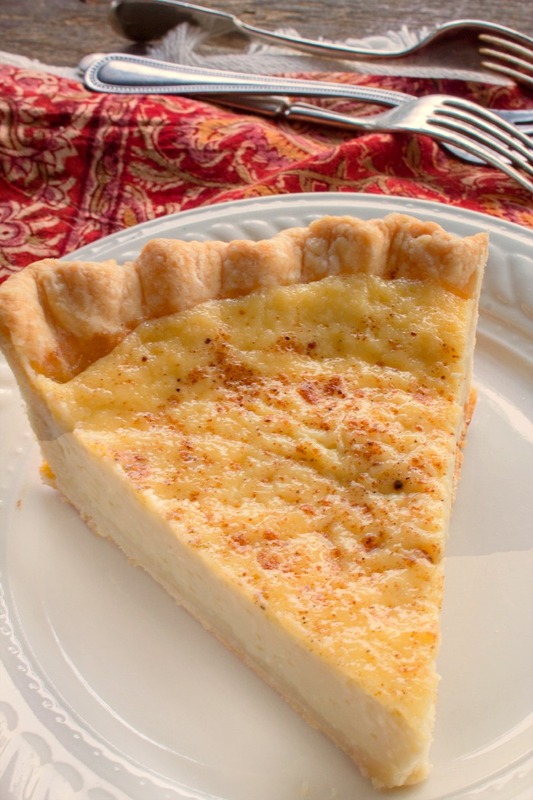 Using a fork, prick the sides and bottom of the crust, place parchment paper on the bottom of the crust, place raw rice or pie weights on the paper. Prebake your pie crust for 15 minutes at 400 degrees. Remove the parchment paper and rice, let the crust cool and proceed with the recipe. Place berries in the pie crust, set aside. Place the flour and sugar in a medium bowl, whisk together to incorporate. Gradually add the milk to the flour mixture while whisking, whisk until mixture is smooth. Whisk in the eggs, cinnamon and vanilla until well blended, pour mixture over the berries. Bake at 425 degrees for 15 minutes, reduce heat to 350 degrees and bake an additional 35 minutes longer. Cool completely before serving. If the crust starts to brown more than your liking while baking, place foil around the crust. I love your recipes and print them, but I like to have a picture of the finish product but I’m not able to print the pictures. Your recipes are some of the best that I have ever seen. Just learning how to bake and will be trying your recipes. Thank you for your time, Chris Gaspard. Chris I have switched to a new recipe format and will be adding pictures as I go to the news recipes and will get pics on the older recipes as soon as I can. Thank you so much for your kind words! I tried the Blueberry Custard Pie. It was delicious. I used the Graham Cracker Pie crust instead. I had extra liquid so I used apples instead of blueberry and made mini pies. Fantastic Michey! 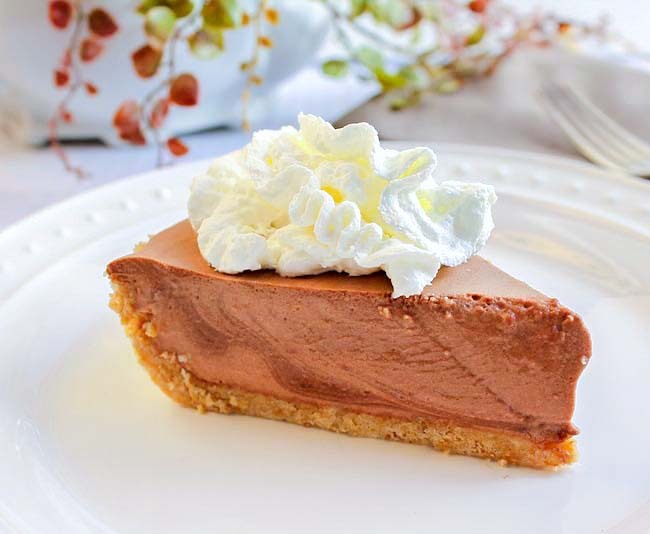 And good to know that you can make it in a graham cracker crust too! You made apple pies too, you were baking up a storm! Thank you for taking the time to come back and tell me you made it Michey. Fingers crossed that you loved it! Trying this recipe out for a small plated lunch tomorrow and was wondering how I should store this over night. I’m worried of i refridgerate it that the crust qill get soggy! Suggestions? I really wouldn’t worry about it getting soggy Krissie, it does need to be refrigerated because of the custard. Let me know how it went. I made the blueberry custard pie and added a dollop of whipped cream on each piece served. It was absolutely yummy! Thank you for posting this recipe! Wonderful Christine, thank you for taking the time to come back and tell me, you made my day!